It’s that time of the year, when love is in the air for Valentine’s Day. And we thought we would review a couple of products that would make for a great gift for your significant other. Candy is sweet, but not always a favorite for obvious reasons. Flowers are also nice, but have a short life span. Diamonds are supposedly a girls best friend, but not in everyone’s budget. What most of us tend to be short on in addition to money is time. Give your significant other a time saver and you will also be loved for it. 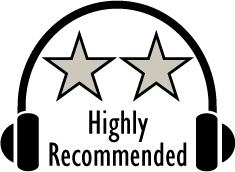 The first of two reviews we will do this Valentine’s Day segment is a big time saver. It is the EcoVacs Deebot OZMO 930. And even though it is Valentine's Day season, it would even work great as an anniversary or birthday gift! I don’t know anyone who likes to sweep floors, or vacuum. It takes time. But it’s a necessity if you don’t want a messy looking house. Thanks to modern day technology, there are robots available to do the sweeping and vacuuming for you. They have been out for several years. But now they can mop as well. So a single robot can do all of your sweeping, mopping and vacuuming. Enter the EcoVacs Deebot OZMO 930. The EcoVac Deebot OZMO 930 came shipped in a nice looking color printed box with photos and specs of the robot. Opening the box revealed a well protected product, held in place in custom sized cardboard. Materials used in the construction were mostly plastic, with some metal and rubber. Quality of materials used was excellent, as was the fit and finish. The EcoVacs Deebot OZMO 930 is a premium product, and it showed. Also included was the charging station, extra set of rotating brushes and mop pad, as well as owner’s manual. Setting up the Deebot OZMO 930 was simple, thanks to the owner’s manual. The manuals were well written and easy to follow. If you have no experience with robot vacuums, this is good news for you. There were just a few pieces that needed to be attached to the robot before it could be used, but it was easy and didn’t take long. Once it was all put together and the location for the docking station was decided, it was time to set it on the base for it to charge. The charging station was also pretty cool. There are two metal contact points that are used to charge the robot. So the charging dock and the robot needed to be lined up. When the robot is charging, the power button lights up blue, and glows on and off while it charges. Once it is fully charged, the blue glowing LED completely turns off. Now the fun begins. Being fully charged, it was time to put it to the test. Before it could get to work, the Deebot OZMO 930 had to map out the area. So away it went, and got to work mapping out the entire area. It took awhile, but it worked. Once the mapping was done, it went back and docked with the charging station. Pressing the power button again activated the Deebot again. It woke up, backed off the docking station, and got to work, vacuuming and sweeping. AS it approached a wall, it slowed down when it got about 4 inches away, and slowly inched up to the wall. It was really cool to see how well the sensors worked. Working around our table, chairs, and even the baby grand piano was no issue. It hit a leg, rotated, and went around it. The built-in mapping also worked extremely well! Not only did it know where it was, but it also knew where it had been. So the entire floor area got cleaned. Once the floor was all cleaned, it returned automatically to the charging station. And it did so good enough so that the charge contacting points always lined up and got it charging so it’s ready for the next cleaning. Given that it is a robot, I did not have high expectations. I was expecting spots to get missed. And I was also not expecting a very good job of vacuuming. After all, I was not expecting a very powerful suction on a robot. Having said that, I was pleasantly surprised by it’s performance. Thanks to the quality of the mapping, it actually cleaned the entire floor and did not miss any corners. The sweeping performance did well on hard surfaces. The vacuum performance was not as good as an upright vacuum, as expected. But it did a better vacuuming job than expected. Definitely better than the average teenager’s job! And for dirtier areas, it was easy to just have it go over that area more with the spot cleaning option. As for the mopping option…There is no pressure placed on the floor. It basically just squirts the water and runs over it with the pad. This is fine, but any more difficult spots will need to be done by hand. Mopping is a great option for people without kids or for a daily quick wash, but in a household like ours, with 5 teenagers, it won’t replace our mop any time soon. Going over areas a second time also helped. I love the vacuum option for daily cleaning of both the hard floors and carpeted ones. One of the more up to date features of the Deebot is its wi-fi options. Once the mapping is done, you can access that map through wi-fi and direct which parts of the map you want to clean, parts that are off limits and you can even pinpoint a spot that might need to be covered more than once. This is especially helpful in getting higher traffic areas cleaned without wasting battery life on areas that might not need daily cleaning. And you can change the boundaries easily so you can cover different areas on different days. Thru the app you can even set cleaning schedules. 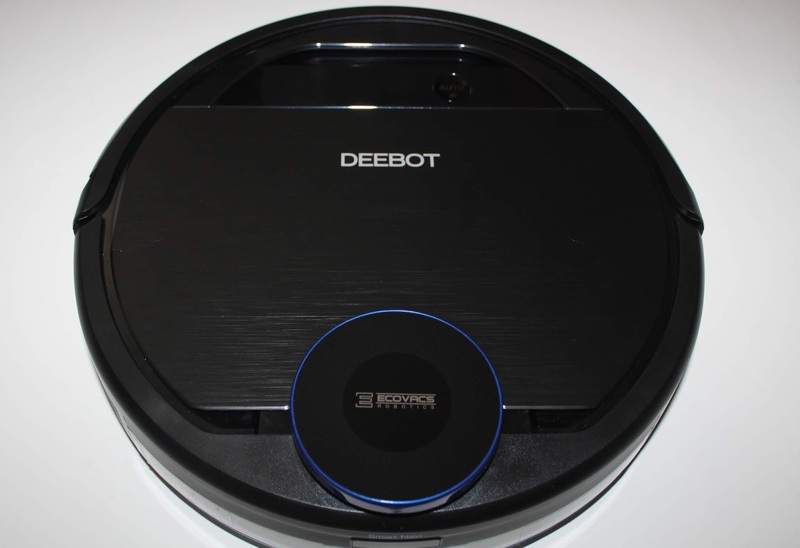 Overall, I was very impressed with the performance of the EcoVacs Deebot OZMO 930. The excellent mapping allowed it to do a thorough cleaning without missing an area, knowing where it was, where it had been, and where it still needed to clean. So grab a drink, get your feet up, and relax while the Deebot does the work for you! The vacuum function cleaned better than expected, and the mopping also cleaned sufficiently well for light duty. The build quality was also excellent, and looked to provide a long life. And not once did it have a problem finding it’s way back to the docking station to recharge. With an MSRP of $699, it is fairly priced to save you a lot of time cleaning. Based on it’s design, features, quality, and performance, the EcoVacs Deebot OZMO 930 has earned our Highly Recommended Award. For more info and complete specs, check out their website at www.ecovacs.com.